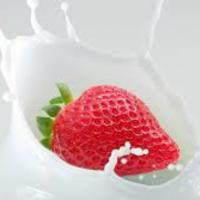 Delicious strawberry and cream. Simple and absolutely Delicious. Mix this up, it’s better than Colts God’s Milk. Made at 70/30 SNV. I add .25 Supersweet to mine, as for me it adds a bit of vibrancy but it’s up to you. Really nice S&C, well done!